Currently in the market for a selfie sick for a pressy, this one seems quite well reviewed. Got the exact same one from B&amp;M for £2.50 a year or so back. Why is this so heavily downvoted? Got the BW-BS4 version for review, which has extendable feet, late 2018, used several times a week for stationary filming and still going reasonably well, mind you the balance on the unextended legs seems to have gone slightly with a little correction things workout well. The spring in the phone holder has become a little less strong but still fine for stable work but wouldn't use it as a selfie pole anymore. bought one on Ebay, for a 1.00, but wouldn't trust putting my note 9 on it though. This seems to be a price/promo error. 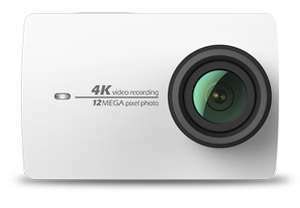 £131.99 from UK site. Black also for £5 extra. Use 45 coupon on page. Pay in Euros with fee free card. So did your 16 iphones get delivered? Why was that thread taken off? Iphone was a great find! Can’t find your original post on the iPhone misprice! Wonder why it’s been taken down?! Where's the deal 4 for £3 or 75p each about? But yet we buy ... loooooooooool. The saddest thing ever invented for consumers. 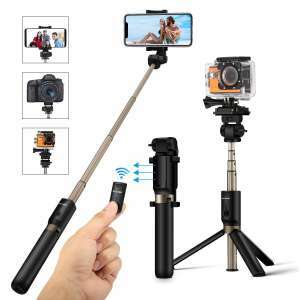 Never miss a 'Selfie Stick' deal again! 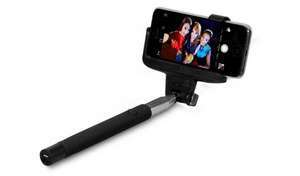 Selfie stick is £19.99 on Amazon aswell now. Anyone had any experience with the shop are they any good some bad reviews on there although more good than bad. Seems mostly bad packing in good and bad reviews although there are some good packing coments. So are they good or bad? OK. Described as such I will give some heat. How can a toy selfie stick cost so much? Most phones I have and had, batteries struggle lasting the day, nevermind powering a fan off it. Shame it's PAL, ...i need NTSC version. AUKEY Extendable Pocket Monopod Cable Control Selfie Stick with U Shape Clamp Phone Holder for Smartphones - £1.99 Prime Add On Item Sold by yueying and Fulfilled by Amazon. 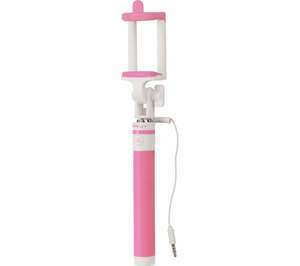 this looks like the Rolls Royce of selfie sticks! I can see £9.99 too. Can't agree with your opinion. I have anker one and constatly have issue with bluetooth connection beetween iphone and stick. Good lord, the quality of those 'after' images. You need to pause the video to see them for a reason. Struggling to find some tripod with phone clip wider than 85mm. My Xiaomi Mi Max 2 is 88mm wide. Yes! It works better if you remove any case you have on the phone, and just make sure you centre the phone in the grips. Hope that helps. Thanks, I've just seen some videos about it and saw that the screen is covered? So with a mount the screen can be seen? Do you have any suggestions? Thanks! No good for spying on the fit bird next door then. its that "cold", its gone out of stock! Also available on Amazon if any one is interested. How long could you expect software updates for?